Let's start off by talking about the packaging. It's a simple black palette with a wide mirror which is great for if you're on the go and need a mirror to do your eyeshadow. The palette has a cardboard packaging which I prefer as they tend to be lightweight. There's nothing worse than heavy bulky palettes. This makes it ideal for travelling with. It is thin and small in size which makes it easy to carry in your makeup bag. The only problem I have with cardboard palettes is that they're a cheaper material and if you're paying lots for a palette, that's not very satisfying. The palette also doesn't come with a brush but I personally don't mind that as I don't tend to use brushes or sponges that come with a palette anyway. This palette contains 12 eyeshadows in which 6 are matte shades and 6 are shimmer shades. 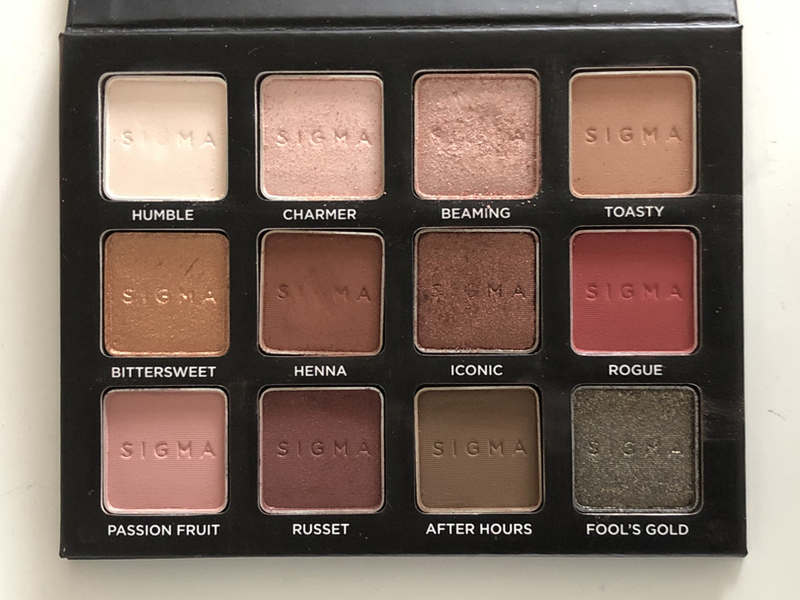 The shade names are printed inside the palette, underneath each pan and are clear to see. The price comes out to £2.25 per shadow which I think is reasonably priced. Now, moving on the eyeshadow themselves. 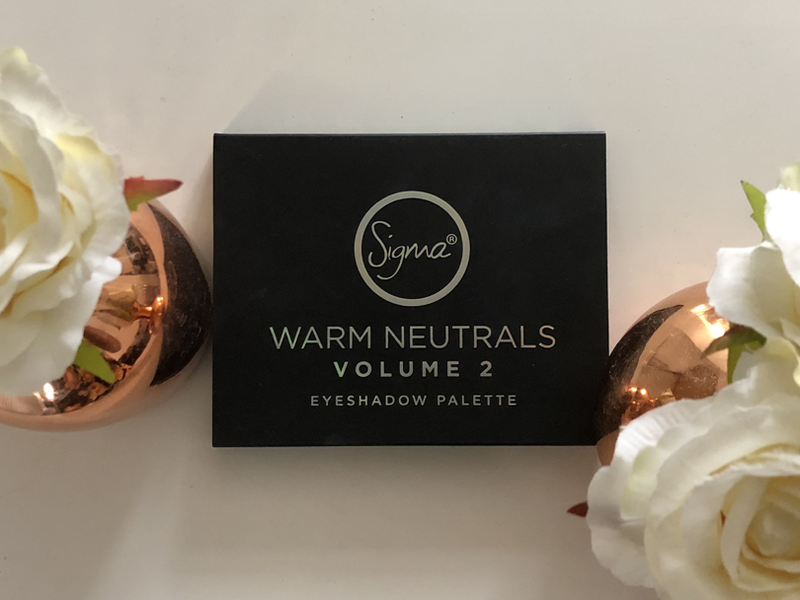 The palette is called warm neutrals and as you can tell all the shades are very warm toned and they're all neutral shades which would work for everyday use. 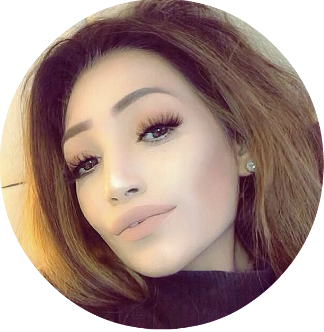 I love warm-toned eyeshadows as I find they go really well with my skin tone. 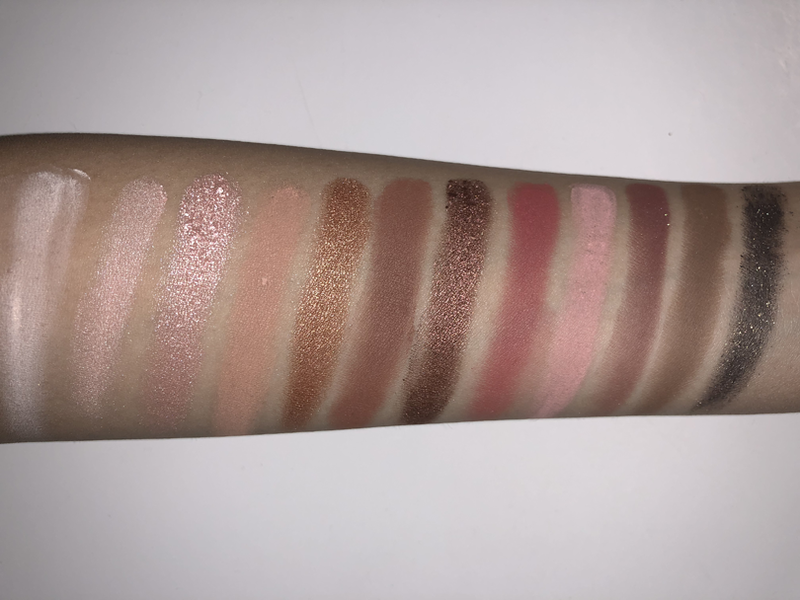 As you can see from the swatches above the eyeshadows are highly pigmented. The eyeshadows are soft and buttery which makes it easier to blend the shades together. 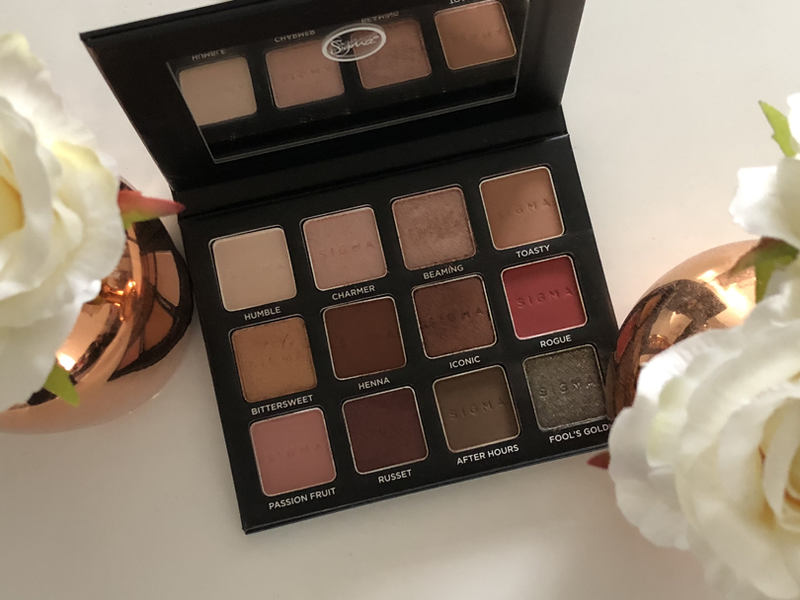 There are enough matte and shimmer shades to create a look using this palette alone which is so convenient as you don't have to keep reaching to other palettes. These eyeshadows don't lose pigmentation when you blend them out. With the shimmer shadows, I spray my brush with water and then apply them just to create a foiled eyeshadow effect and it increases the intensity of the shade but even them alone are highly pigmented. I don't usually use eyeshadow primer on my eyelids. I only apply concealer and set with powder to create a base. I found that these eyeshadows lasted all day long without smearing or disappearing. The only problem I had with these shadows is that there is fall out especially with the matte shades so if you do your eyeshadow after your face makeup this may not be ideal as it will create a mess. I don't have that problem as I do my eyeshadow first but I still find the shadows make a mess in the palette when I dip my brush in. Overall, I would definitely recommend this palette as the shades in this palette are so pretty and you can create so many looks with these. 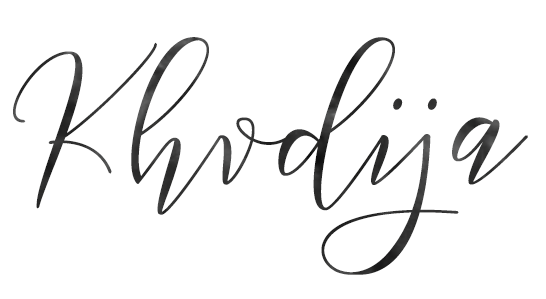 The shadows are highly pigmented, soft and long-lasting.